According to someone who worked on the Kids Mode for the Samsung Galaxy S5, the Samsung Galaxy S5 Prime will feature a 5.2 inch display with a QHD resolution (1440 x 2560). 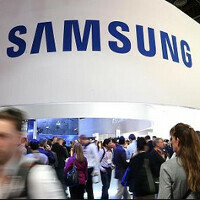 The device is code named the Samsung Galaxy S5 G906 with an internal name of KQ (Lentis). This would be Samsung's first device flaunting a QHD screen and depending on when the device is launched (assuming, of course, that it WILL be launched), this could be the first phone offered in the U.S. with such a resolution.